A new year is the beginning of a brand new chapter of everybody's lives. It is the time when all of us should rejoice because we are able to survive a dreaded year of intrigues, fear, fun, laughter and a roller-coaster of emotions. For workers, this is the time to thank their people for staying another year in the company faithful and loyal. So, as a good employer to your great performing staff, better nourish them with promotional gifts that they can utilize as the clock ticks 12 and a brand new beginning commenced. In providing incentives, it is said that it is the thought that counts. As a testament to that, you are not obliged to distribute each one a condominium unit or house and lot worth millions of dollars to be able to appreciate them. Here are some simple desktop promotional gifts that your company can personalize to become even more exceptional. Calendars - Speaking of the New Year, a new promotional calendar should be hung on the wall of your desk. A customized calendar is a usual gift during the end of the year because people have already maximized the 12 months of their previous calendar. Providing this material to your staff will be very helpful because they can manage their schedules using it. But as a corporation, who still aims business, don't forget to jazz it up a little and create a calendar that has a resemblance to a photo diary of the company from its humble beginnings up to its current status. 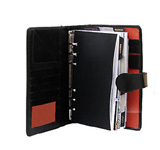 Business Organizers - Just like your calendar, Business Organizer / Planner is fantastic corporate gift. Aside from the fact that your employees can write down their notes on, it can also be a book of schedules and affairs that they can follow as the New Year commences. 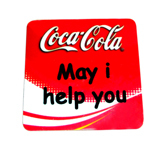 Mouse Pads - Promotional mouse pad is a good corporate gift. Aside from the fact that it can be customized according the company's preference, your workforce can enjoy smooth computer navigation whether in office or on site.